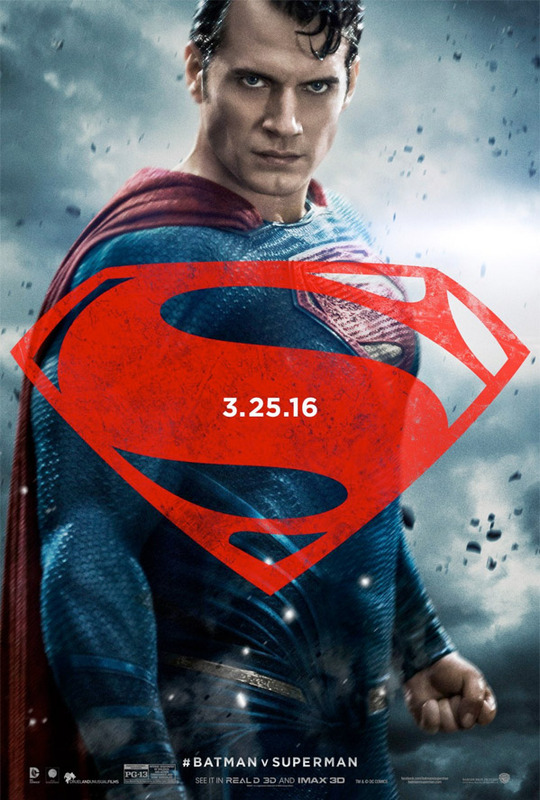 There's only three more months to go until the release of Zack Snyder's Batman v Superman: Dawn of Justice. 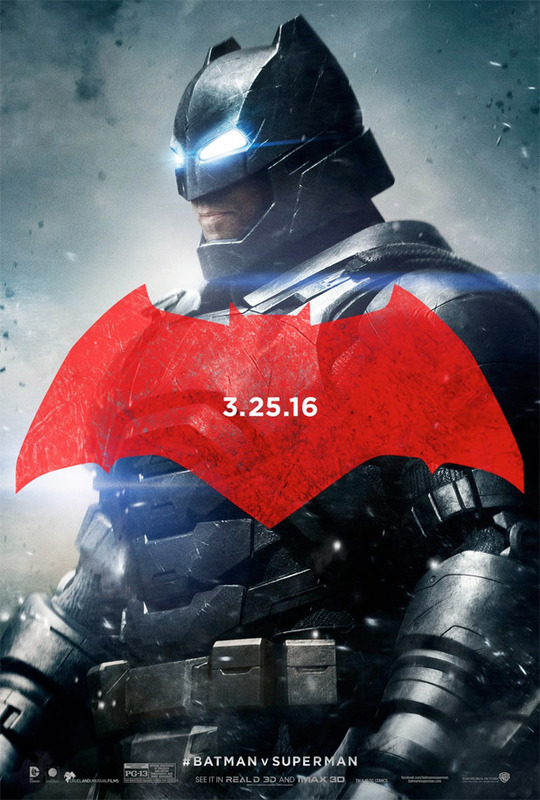 Warner Bros is sticking firm with the March 2016 release date, and has issued three new character posters for the three major heroes: Batman, Superman and Wonder Woman. I'm sure we'll see a few more superheroes in the movie (The Flash? Aquaman?) but these are the biggest sellers and the main guys in this battle. Ben Affleck plays Batman, Henry Cavill plays Superman, and Gal Gadot plays Wonder Woman. The most recent trailer seemed to be very divisive and upsetting to some, but that may be part of their plan with a series of DC movies in the works. For now, I'm still looking forward to seeing how this one turns out. Watch the latest full-length trailer for Dawn of Justice here, teasing Doomsday and more Wonder Woman. Supes needs some beard, would've made him look more badass. Incredible out of timing. Everybody is watching Star Wars right now, don't have time for this garbage. Here, this pill can allow you to understand sarcasm. Thank me later. what you wrote is not sarcasm - it, in no way, reads like that. or, you just aren't very good at sarcasm - and shouldn't do it any more. Love all of them!! Looking forward!! Yatta! I like bats - he's looking fierce. Bad posters. 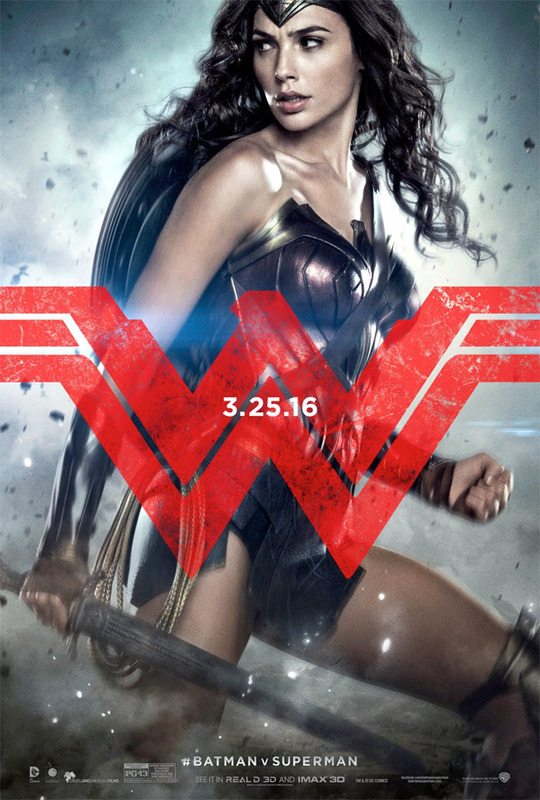 Wonder Woman looks great though. Like a super drug lord.